Dig for the mother lode in this wild adventure mining game. Roll the die and move around the tile board in search of precious gold nuggets. Use a lantern to light the way--but watch out for bears, bats and dangerous cave-ins. 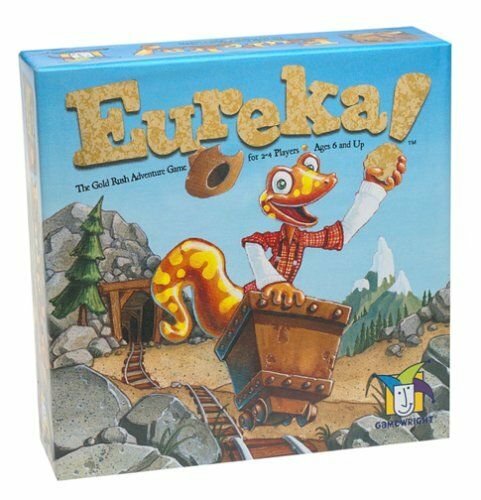 Be the first player to uncover four gold nuggets and "Eureka!" --you win.